Tom Hardy is having another one of those banner years where he’s starring in two not-small films as two not-small characters. The Mad Max: Fury Road is not only playing Marvel Comics character Venom for Sony Pictures, but he’s also bringing one of the most famous American organized crime masters back to the silver screen in Fonzo. The film takes place roughly 10 years into Capone’s prison sentence, as he begins to suffer from dementia. Hardy will be playing Al “Scarface” Capone, Chicago gangster who became synonymous with the mobster lifestyle. Director Josh Trank (Fantastic Four, Chronicle), who also wrote the script, is helming the period flick for a yet-to-be-determined-studio and has been sharing some photos of his lead actor. Needless to say, this looks to be a totally different look for Tom Hardy — wait, no, because Bronson, Star Trek: Nemesis, Batman: The Dark Knight Rises, etc. all have the same hairless visage of the British actor. It’s also worth pointing out that this will be Trank’s first film following the messy business with 20th Century FOX and the resulting (now-deleted) twitter post about how his version of the Fantastic Four film was better than what audiences inevitably saw. Linda Cardellini, Matt Dillon, Kyle McLachlan, and Jack Lowden are also on cast. 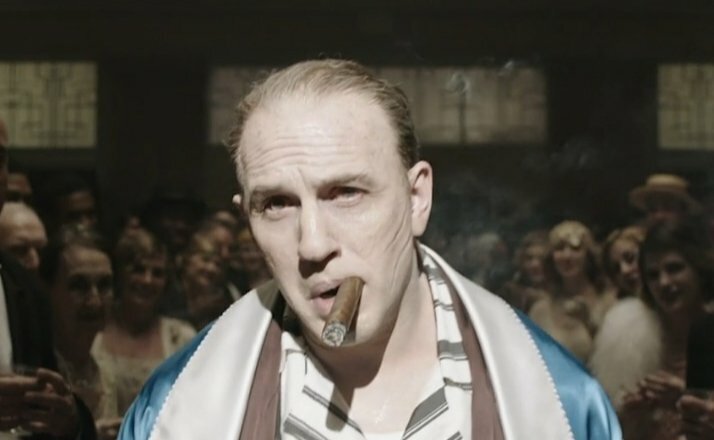 Fonzo has no current scheduled release date, but we’ll let you know when it does.